Our meetings are held at 7:00 p.m. on the second Sunday of each month at the Museum of Flight at Boeing field (Seattle). Meetings are held in the Red Barn classroom (basement level). For information on finding the Museum of Flight, visit their site at http://www.museumofflight.org/directions. The National Space Society Seattle Chapter's meetings are free and open to the general public. July 2010: Professor Peter Cavanagh presented "Why do Astronauts Lose Bone Mass?" Data collected so far demonstrates that astronauts/cosmonauts lose a significant amount of bone mass during their stay in microgravity. 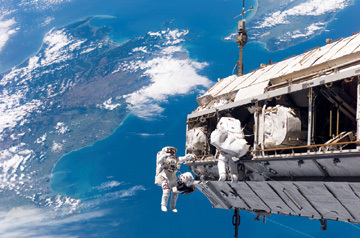 Crew members on the International Space Station typically lose 10 times as much bone mass per month in key regions of the body as post-menopausal women. This elevates the risk of fracture and kidney stones during long-duration missions and is a potential threat to long-term bone health after return to earth. Dr. Cavanagh is a professor of Orthopaedics and Sports Medicine at the University of Washington and has conducted many research studies for NASA and the National Space Biomedical Research Institute. Dr. Cavanagh is co-editor of the book Bone Loss During Spaceflight: Etiology, Countermeasures, and Implications for Bone Health on Earth. April 2010: Dr. Dieter Zube gave a presentation on the V-2 rocket. Rocket societies and individual contributions began sprouting in several countries in the 1920s and 1930s. However, only in Germany did they receive significant government funding that allowed the successful development and application of rocket engine technology during the War. The presentation summarized the efforts by the “Walter Werke” in Kiel and the team around Wernher von Braun, and how they eventually became the basis for both the U.S. and Soviet spaceflight successes in the 1950s and 1960s. January 2010: Tom Nugent, Project Manager of LaserMotive, will be speaking at the January 10th meeting of the Seattle Chapter of the National Space Society. LaserMotive is a Seattle-based company commercializing laser power beaming to transmit electricity without wires for applications where wires are either cost prohibitive or physically impractical. In November 2009, LaserMotive won a $900K prize in the NASA-sponsored Power Beaming competition, part of the Elevator: 2010 Space Elevator Games. Videos of the competition are available at their Web site http://www.lasermotive.com/. November 2009: Ralph Nansen, founder and president of Solar Space Industries, spoke about solar space power. Ralph's new book Energy Crisis: Solution from Space is now available online and in bookstores. Ralph has been involved with space engineering for more than four decades. He's recognized as one of the key leaders in the world to develop, promote, and manage solar power satellites. Ralph authored the 1995 advocacy book Sun Power: The Global Solution for the Coming Energy currently available online at the National Space Society online SSP blog. October 2009: MSNBC science editor Alan Boyle joined us as our guest for the October chapter meeting. Alan’s new book The Case for Pluto: How a Little Planet Made a Big Difference (Wiley, publication October 2009) discusses the history of Pluto’s discovery and subsequent public interest in the small body. Alan also provided some background about the IAU’s decision to demote it “planetoid” in 2006. Alan is the award-winning blogger behind MSNBC’s Cosmic Log. If you missed this talk, he’ll be speaking at the December 1, 2009 Seattle Town Hall meeting. October 2008: Tony Rusi gave a talk titled "Dr. Strange Sat: Or How I Learned to Stop Worrying and Love Inflatable Devices NC-17" Tony worked for Bigelow on the inflatable hotel based on Transhab, and he was able to provide insight into the concept and applications of inflatables. August 2008: Chris Vancil talked about the NASA Astronaut Glove Competition. The contest is part of the NASA Centennial Challenges program, which encourages independent innovation by presenting a series of technical challenges to the public. A significant monetary prize is awarded in each contest. June 2008: Stephen Metschan, President/CEO of TeamVision Corporation , gave a talk on the Direct Launcher initiative, which proposes using a direct derivative of the existing Space Shuttle system as an alternative to the NASA Ares series of launch vehicles. More information is available at the Direct Launcher Web site at http://www.directlauncher.com. May 2008: Monty Reed of They Shall Walk discussed his LIFESUIT Exoskeleton. The LIFESUIT is a powered gait orthosis (robotic brace) that will give parapelgics and the elderly the ability to walk. The LIFESUIT has several applications for future human space exploration, such as helping astronauts to walk in difficult non-Earth environments. For more information, visit their Web site at http://www.theyshallwalk.org. January 2008: Angie Lepley, President of Tangerine Travel Ltd., gave a presentation on Virgin Galactic subobital tourism. Tangerine Travel is the only travel agency in Washington State accredited to sell suborbital flights on Virgin Galactic. Angie brought a wide variety of Virgin Galactic promotional materials, including a DVD of the Virgin Galactic promotional movie viewable at http://www.virgingalactic.com/flash.html (requires Macromedia Flash Player 8.0). Monty Reed of They Shall Walk(TM) discussed his LIFESUIT(TM) Exoskeleton. The LIFESUIT Exoskeleton is a Powered Gait Orthosis (robotic brace) that will give parapelgics and the elderly the ability to walk. The LIFESUIT has several applications for future human space exploration, such as helping astronauts to walk in difficult non-Earth environments. For more information, visit their Web site at http://www.theyshallwalk.org/. Curtis Snow gave a presentation on solar power satellites. The talk included an explanation of the financial motivation behind solar power satellites, and continued on to discuss orbital elements and other technical details. Curtis is a member of the Seattle Lunar Group Studies (SLuGS). Angie Lepley, president of Tangerine Travel Ltd., gave a presentation on Virgin Galactic suborbital tourism. Tangerine Travel is the only travel agency in Washington State accredited to sell suborbital flights on Virgin Galactic. Angie brought a wide variety of Virgin Galactic promotional materials, including a DVD of the Virgin Galactic promotional movie (also viewable at http://www.virgingalactic.com/flash.html; requires Macromedia Flash Player 8.0). We showed a video lecture from a space conference. There was also an updated demonstration of the negative pressure glove box that included testing some newly constructed gloves. Tom Nugent of LaserMotive gave a presentation on beam power. LaserMotive competed in the 2007 NASA Sponsored Beam Power competition, part of the Space Elevator Games (see http://www.spaceward.org/ for details). For info visit LaserMotive's Web site at: http://www.lasermotive.com/blog/. We showed another video from the NSS 2007 International Space Development Conference (ISDC). We played a video from the NSS 2007 International Space Development Conference (ISDC). There was also a demonstration of a negative pressure glove box used for testing gloves in connection with the 2008 NASA Astronaut Glove Contest next year. Vice-President Chris Vancil is working on developing a glove design. Our speaker for the June NSS Seattle meeting was Lewis Fraas, former Boeing engineer, graduate of Cal Tech and president and CEO of JX Crystals (http://www.jxcrystals.com/) in Issaquah. Lew gave a presentation titled "Solar Cells: Down from Space to Earth" based on his years of experience in solar electric power. Lew is the author of Path to Affordable Solar Electric Power & The 35% Efficient Solar Cell (available from Amazon.com at http://www.amazon.com/Affordable-Solar-Electric-Power-Efficient/dp/0974853003). Professor Thomas R. Quinn, from the University of Washington Department of Astronomy, discussed the discovery of Exoplanets since 1993. Prof. Quinn provided us with a historical perspective of theories of planetary formation. From the planetesimal formation theory of formation from our own solar system, to a new theory explaining the formation of the many "gas giants" discovered around other stars, he presented fascinating animations and slides to illustrate the formation theories. Visit the University of Washington N-Body Shop Web site at http://www-hpcc.astro.washington.edu/ for more information. Divemaster Marshal Winter and his wife spoke about the nearby alien world of the Puget Sound, and more importantly diving. Some of the challenges faced in diving are similar to problems in using space suits. Ascent in either air or water can cause Decompression sickness (DCS). We discussed the role that NSS Seattle and space advocates have in what some have called "New Space," or as others call it, the coming age of space tourism. Some videos clips from talks were also shown. Robert C. Mathis, Captain of the Boeing Fire Department Training Division, spoke about the SCBA fire fighting equipment used by the Boeing Fire Department. The SCBA equipment shares common components that are related to space suits. Rob brought several components of the SCBA firefighting suit, and discussed each component. Attendees were able to put on different pieces of the suit. Our speaker for the June NSS Seattle meeting was Lewis Fraas, former Boeing engineer, graduate of Cal Tech and president and CEO of JX Crystals (http://www.jxcrystals.com) in Issaquah. Lew gave a presentation titled "Solar Cells: Down from Space to Earth" based on his years of experience in solar electric power. Lew is the author of "Path to Affordable Solar Electric Power & The 35% Efficient Solar Cell" (available at Amazon.com at http://www.amazon.com/Affordable-Solar-Electric-Power-Efficient/dp/0974853003). Professor Thomas R. Quinn, from the University of Washington Department of Astronomy, discussed the discovery of Exoplanets since 1993. Prof. Quinn provided us with a historical perspective of theories of planetary formation. 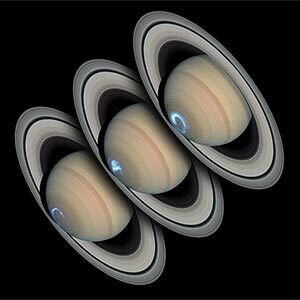 From the planetesimal formation theory of formation from our own solar system, to a new theory explaining the formation of the many "gas giants" discovered around other stars, he presented fascinating animations and slides to illustrate the formation theories. See Professor Quinn's Web site at htttp://hpss.astro.washington.edu acultyquinn for more information. Susan Kaltenbach made a presentation explaining the NSS Web site redesign strategy, including suggested content, site structure, and design options. Dr. Eckart W. Schmidt, a retired rocket propulsion scientist who worked on the Viking and Voyager propulsion subsystems, provided an excellent summary of impact craters on Earth and discussed planetary defense measures against potentially hazardous asteroids and comets. Chris Vancil gave a presentation for the Second Advanced Spacesuit Symposium held in August at the Mars Society Conference in Washington DC. Dr. Howard McCurdy spoke on the Vision for Space Exploration and space policy. Dr. McCurdy is the author of six books on the U.S. space program, the most recent being Faster, Better, Cheaper. The group discussed future outreach projects for NSS Seattle. In addition to our usual methods (tables at space-oriented events), other ideas included providing educational material to teacheres and home schoolers. Carlton Rhoades made a presentation about asteroids, the danger they pose to Earth, and possible methods to mitigate or potentially prevent possible collision events. The group discussed the August 2006 Mars Society Conference and the Spacesuit Symposium that Chapter President Chris Vancil was preparing for the conference. The group worked on plans for volunteer staffing for Yuri’s night and the Norwescon convention. A video was also shown. We talked about Norwescon 29 and ISDC. We watched "O2 Freedom" from one DVD of the Mars Society Convention last August where Dewey Anderson talked about a MEMS concept in which CO2 could be converted to oxygen thereby allowing unlimited EVAs.